Texting My Pancreas: Staying Motivated. I’m a little obsessive about blood testing. The amount of finger sticks I do each day varies, but it can be up to 22 per day. My average, the last time I looked, was 16. It’s not that I enjoy the feel of sticking a shard of metal into one of my fingers every hour. I don’t particularly relish in the sight of my own blood, though it doesn’t bother me. My calloused fingertips aren’t big fans of this behavior, either. I’ve had several fellow PWD (people with diabetes) ask me over the past year how I do it. How am I so motivated to test that often, and how do I keep up that motivation? I’m not claiming to have a magical one-size-fits-all answer for this, and I’m certainly not an expert (though, I like to think of myself as a “veteran” – 24 years with type 1, no major complications, and going strong) – I’m just going to share what works for me. Some people are motivated by fear – of complications, of overnight lows they won’t wake up from, of a family on the horizon. While those things certainly are motivating for me, they’ve always been there for me, every minute of those 24 years. It’s only in the last year or so that I have really gotten serious, borderline obsessed, about this – so what changed? The key for me can be divided into three parts: attention, accountability, and acceptance. Back in January of this year, I started using a continuous glucose monitor. (I named it “Jim”.) I could go on and on about why I love my CGM – it helps me learn from my mistakes, and alerts me when something has gone terribly wrong. Two days into using it, I felt like I had learned more about my body’s glucose patterns than I ever had in the previous two decades with finger sticks alone. A blood test gives you a snapshot of where you are right then, with no clues as to where you’ve been prior to that, or where you’re headed. It’s the difference between a photograph and a video. Finally, I could start to connect the dots. While CGM usage has given me many great things, it also brought with it a heightened sense of awareness. On finger sticks alone, I could forget about diabetes in the time between blood tests. It was easy to not worry about it unless I chose to. With a CGM giving me a new reading every 5 minutes, and beeping VERY LOUDLY when I fall out of the target range I’ve specified, it’s pretty hard to ignore diabetes. In fact, over time it becomes hard to not check the CGM receiver every time I think there might be a new reading. Because the CGM can, but will not always, have fluctuation in accuracy (due, in part, to the fact that it takes readings from the interstitial fluid in your body, not blood), I find myself constantly second-guessing the results – and doing a blood test to verify. Some people might find this stream of information irritating or annoying, but I find it fascinating. Having so much data available causes me to want even more of it. 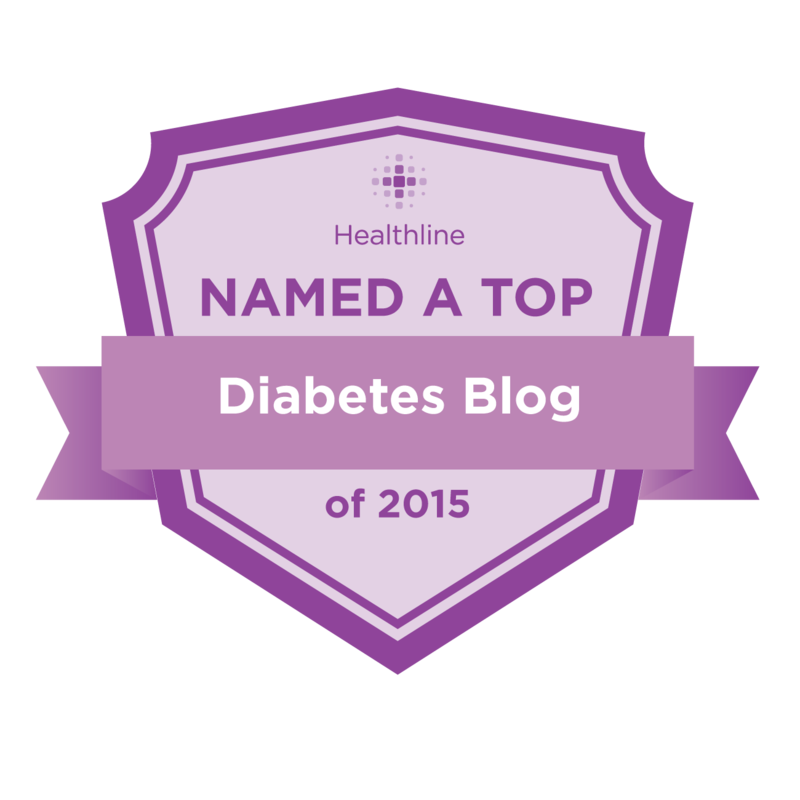 It began with a diabetes patient blog I stumbled upon, which then led to many others. I found diabetes online communities I bonded with. I was searching for answers; for friendship; for support. 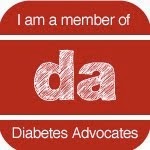 The diabetes online community (DOC) as a whole has been a wonderful gift to find. Reading the successes and failures of others helps me feel less alone in this fight, and more inspired to try my very best at wrangling this beast every day. The achievements of others give me the courage to reach for such goals myself. When I see others posting their BG readings online, I am motivated to test and do the same. And, when all else fails, I make a game out of it – Can I stay under 200 mg/dL today? Can I get myself to test every 2 hours, exactly? Can I eat that previously troublesome meal, and see if I can rock it BG-wise this time around? Sometimes a long road looks too daunting – but that shouldn’t stop you from taking even the smallest steps down it. It’s easier to do when you have someone to hold your hand and keep you pointed in the right direction. What it means is that I understand and respect the gravity of the situation I’m in. I know what I need to do, and why I need to do it. I’ve also realized that life is too damn short to feel sorry for myself all of the time. It’s a fruitless use of my energy. For as long as I get to stay in the ring, I’m going to keep throwing punches.